Here are all the details you need to know about the two phases of Karnataka polls, as detailed by Karnataka Chief Election Commissioner Sanjiv Kumar. 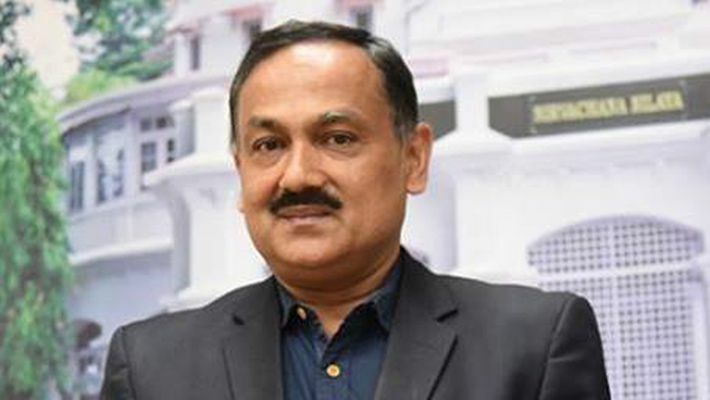 Bengaluru: Karnataka Chief Election Commissioner (CEC) Sanjiv Kumar held a press conference regarding the poll schedule for the 2019 Lok Sabha elections. Karnataka will be one of the states to have two phases of polling, along with Manipur, Rajasthan, Tripura. CEC Sanjiv Kumar said that keeping in mind the availability of forces, it was decided that Karnataka will go in for a two-phased election. Kolar, Chikkaballapur, Bengaluru South, Bengaluru North, Bengaluru Central, Bengaluru Rural, Chamarajanagar, Mysuru, Mandya, Tumakuru, Chitradurga, Dakshin Kannada, Hassan, Udupi and Chikkamagaluru will go to polls on April 18. Chikkodi, Belgam, Bagalkot, Bijapur, Gulbarga, Raichur, Bidar, Koppal, Bellary, Haveri, Dharwad, Uttara Kannada, Shivamogga, will go to polls on April 23. Kumar stressed that epic card was not essential for voting as long the voter’s name was in the voters’ list. “Voter slip will be distributed but won't be a stand alone valid ID,” added Kumar. Number of polling stations in Karnataka will be 58,186 with assured minimum facilities such as ramps, toilets and drinking water. Magnifying glass, transport to and fro booth and wheelchair for the differently-abled will also be provided. 600 polling stations will be managed by an all-women team, said Sanjiv Kumar. 28 special polling stations will be set up that will be run by people with disabilities. Election Commissioner also assured that voter facilitation posters will also have basic information for display and voter assistance booth will also be set up to help voters identify booths. Election Commissioner reiterated that NOTA provision will be available. A new feature has been introduced. Photographs of candidates on the EVM will be displayed along with the symbol, name and number on VVPAT slips. “40,048 service voters can vote through ETBPS. The voters would have to download and take a print out of the vote, which will then be treated as ballot and sealed and sent through post,” added Election Commissioner Sanjiv Kumar. Electronic tracking system has been replaced with electronic EVM management system using GPS transportation maps. Mock polls will be held after the transfer of EVMs and on poll day as well. However, this time there will be four polling staff in each station instead of five, informed Sanjiv Kumar. Adding that the Model Code of Conduct is already in place, Election Commissioner said that the bureaucracy has been contacted through video conferencing to enforce it. As part of protocol, all candidates are required to declare assets and criminal cases via advertisement, media and party websites. Election Commissioner stressed that 10 teams of the central forces will be deployed for confidence-building measures in sensitive regions. 5000-5500 polling stations will have webcasting. Videography, webcasting and CCTV arrangements have been made to avoid malpractice. Measures to stop public nuisance will be undertaken. Polythene and plastic or non-sustainable material cannot be used in poll campaign. Restriction on use of loud speaker between 10 pm to 6 am is also introduced. Sanjiv Kumar mentioned the app C-VIGIL that voters can use to report poll malpractices. Citizens can report directly. Complaints received through the app will go to control room directly and alert the nearest flying squad. Within 15 minutes, the squad can reach the spot. Within 100 minutes, action can be taken and a report will be filed. Such a method was earlier used only in Bengaluru. Now it is being extended statewide. The expenses allotted for each candidate is Rs 70 lakh and the Election Commission sought details of it within 30 days of results. Speaking about paid news and fake news, Sanjiv Kumar admitted that it would be a challenge and parties, candidates and media houses can be liable for punishment.